Les Brown is a former American politician, television host and radio DJ and motivational speaker. This biography profiles his childhood, life, career, achievements and timeline. Les Brown is a former American politician, television host and radio DJ, and recognised as one of the world’s greatest motivational speakers. Over the last four decades he has transformed numerous lives with his speeches relating to almost every aspect of life. 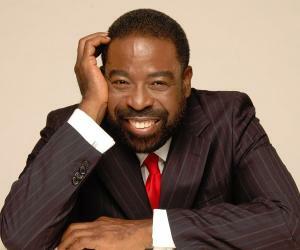 He grabbed attention as a member of the ‘Ohio House of Representatives’ and later went on to host his own show called ‘The Les Brown Show’ where he taught people to follow their dreams and reiterate the phrase “it’s possible”, emphasising on the need to seek solutions rather than ponder over problems. In an interview, Les Brown stated that television for him is simply a means to empower masses. With no formal education beyond high school backing his dreams, he still went on to establish his own company called ‘Les Brown Unlimited, Inc.’ and is also the author of the best-selling book ‘Live Your Dreams’. Throughout his career, he has interviewed some of the brightest minds of the business world and has worked closely with them in the boardroom. He has earned several accolades as an orator and isnow referredto as “The Motivator”. Leslie Calvin Brown was born a twin along with his brother Wesley on 17th February, 1945 at a dilapidated building in Liberty City, Miami. Leslie and his brother were conceived by an extra marital affair of their biological mother. Upon conceiving them, their mother quietly visited Florida to give birth in secrecy and within three weeks she put them for adaption. When both brothers were six weeks old, they were adopted by a 38 year old generous spinster, Mamie Brown who worked in a coffee shop. He attended formal school along with his sibling but on reaching grade five, his teachers considered him a misfit and mentally slow in comparison with other children, as he was more inclined towards seeking attention and was a poor student. He began to believe the opinions of his teachers and considered himself a slow student, but his adoptive mother thought otherwise. His mother and one of his high school teachers recognised his potential and owing to their guidance, he was able to muster an ambition for his life. On passing high school, he never stopped learning and continued to educate himself. His first job was that of a sanitation worker, but his job didn’t satiate his ambition. Hence he turned towards radio broadcasting. With his perseverance to enter the world of a radio jockey he took up odd jobs at a local radio station. At the radio junction he learnt what was required to fit the job of a radio jockey. On a fortunate occasion, he landed a part-time job at the junction when the station’s jockey landed up drunk for live broadcasting. Thus, eventually the owner allowed him to slip into the shoes of an RJ for a day. Impressed by Brown’s skills he appointed him permanently as an RJ. After many years of working at the radio junction, he shifted to Ohio in pursuit of a better opportunity in a high ranking radio program, where he eventually became the junction’s manager. This added to his responsibilities and made him more socially aware. Thus, he took to activism. He began spreading political awareness and fell into various controversies and had to be fired from the radio junction. While working at the junction he met Mike Williams, the station’s news junction director, who encouraged him to run for a seat in the Ohio State Legislature of the 29th House District. He held his seat in the legislation for three terms. In the third term he was also designated as the chairman for ‘Human Resources Committee’. However, his mother fell ill around the same time, hence he had to vacate the seat and take care of his ailing adoptive mother. Nevertheless, he still continued to spread awareness and founded a youth career training program and gradually became a motivational speaker. He also became an author with his book ‘Live Your Dreams’ which became a bestseller within weeks. His book inspires one to set goals and chase them. In the middle of the 1980’s he moved to Detroit and rented an office with an attorney. He burnt the midnight oil and worked continuously often sleeping on his bare office floor. In 1990, he gained a wider audience when he recorded a series of motivational speeches for Public Broadcasting Service –TV. His speeches targeted not only graduates or corporate executives, but rather they were also organised for prison inmates and children with special needs. In an interview with ‘Upscale’ he stated that his speeches were a way of “giving back” to society the support he received from his family and some friends. In 1993, he launched his own TV show ‘The Les Brown Show’ as a means of finding solutions to several problems of the commoners. However, owing to controversies for his strong beliefs, the show was replaced by another show titled ‘Rolonda’. 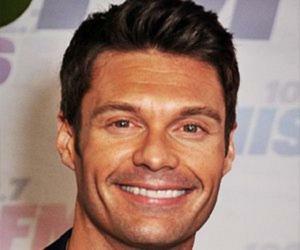 After his show was cancelled he worked for a brief period in the radio station ‘WRKS’ in New York. He later left his job in order to focus primarily on motivational speeches. He worked closely with John C. Maxwell and his team in gathering information about world leaders and professional speakers in a program called ‘The Good, The Bad and The Ugly’. By 1998, the empire that he set up as a speaker began flourishing. 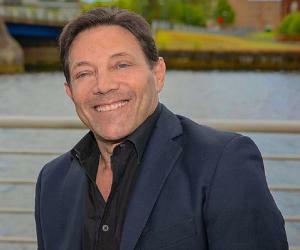 The company drew over four and a half million dollars annually with his television appearances, motivational programs and training of public speakers. 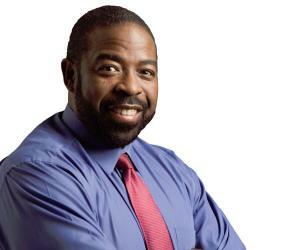 Les Brown has delivered motivational speeches in Denmark, Canada and Dubai. He has travelled the world inspiring and motivating people to overcome obstacles and has been repeatedly called for reinforcement programs. In 1996, he published his second book ‘It’s Not Over Until You Win: How to Become the Person You Always Wanted to Be-No Matter What the Obstacle’. The book comprised of his thoughts from marriage to mass media and was critically acclaimed to be his finest book with “his natural charisma from podium to page” by ‘Publishers Weekly’. His audio series ‘Choosing Your Future’ is by far his all-time best audio release, which received a worldwide distribution. In 1989, he received his first award at the ‘National Speakers Association’. He won the ‘Council Peers Award of Excellence’ of CPAE, with that he became the first African-American to receive the award. He also won the prominent ‘Golden Gavel Award’ at the ‘National Speakers Association’ for his impactful leadership and achievement speeches. In 1991, he was also ranked amongst the ‘Top Five Outstanding Speakers’ of all time worldwide by ‘Toastmasters International’. Les Brown married the popular American singer-songwriter and actress, Gladys Maria Knight also known as “Empress of Soul” in 1995. However their marriage didn’t last more than a couple of years and they divorced in 1997. He has nine children - the eldest is Calvin, followed by Patrick, Ayanna, Ona, Tad, Talia, Sumaya, Serena and lastly John-Leslie Brown. 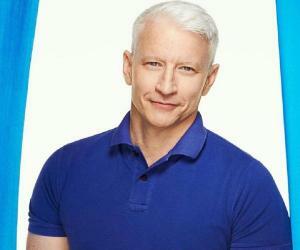 He was diagnosed with prostate cancer in 1997. Play: Can You Identify These World Leaders?